We can align our hearts with all sorts of things, but the only true, beneficial alignment is alignment with the heart of God. God invites Jonah into heart alignment in three ways: God’s name, nature, and nurture. Three characteristics of God that draw us into proper heart alignment are His patience, His compassion, and His generosity. A misunderstanding of God can drive us to fear because we don’t have a full picture of who He is and how He operates. Jesus is actually calling us to live a life that is without fear when it comes to God. God cannot be manipulated. He graciously acts operates in spite of us and all of our brokenness. We see in Jonah that God’s grace pursues us in spite of our words, in spite of the worst of who we are, and in spite of our works. We should be filled with faith because of these realities. Genuine obedience is only possible for us today in and because of the work of Jesus, not because of anything that we can do. So what will you do when God offers you a second chance? Hopefully our response is to run to Jesus. 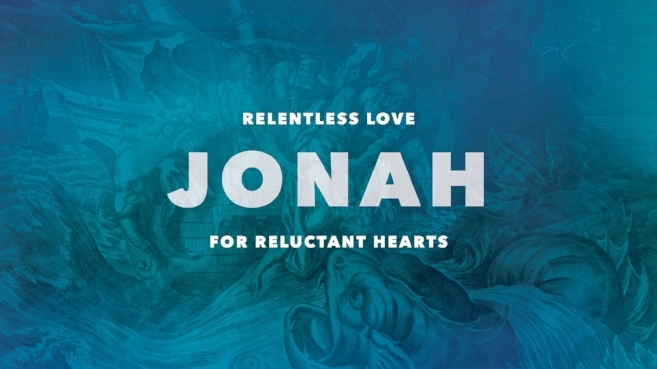 Jonah is a foreshadowing of how we will be rescued from the consequences of our sin. God has revealed in Jesus the better Jonah - that He is more precious than our sinful desire and more powerful than the consequence of the willful, sinful rebellion of his people in the past, present, and future.